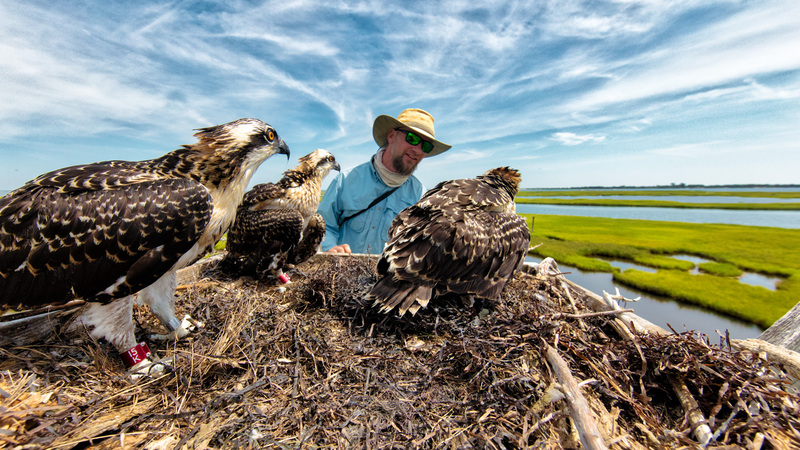 Ben Wurst the Osprey Whisperer, indeed! Those babies are mesmerized. Next time someone invites Ben to give one of his outstanding talks on New Jersey’s Osprey, they should use this photo on the poster. Posted in Wildlife and tagged ben wurst, LBI, lbi osprey, Long Beach Island, osprey. Bookmark the permalink. Very funny….if you are a Game of Thrones fan! Great photo and great comment. I don’t know much about Game of Thrones but I’ve heard Ben Wurst and he is indeed fascinating. Amazing photo. Great to see these ospreys, and what an experience!